Perhaps one of the most common questions I get asked is "why did I decide not to have chemotherapy?" 2011: The first time around the decision not have chemo was a relatively easy decision. I was recovering from the lumpectomy and had agreed to radiotherapy. Chemotherapy hadn't been mentioned. At my 6 weeks post-operation check-up it was mentioned for the first time. The consultant, my surgeon, had checked his work and was happy with the outcome. The oncologist then arrived. I remember it all very clearly. I was sitting on the edge of the couch, completely bare breasted, without a gown, in front of the male consultant and female oncologist. I had just been given the excellent news that there was no evidence that the cancer had spread and the removed lymph nodes were completely clear. However, the oncologist informed me that they had decided that chemo would be appropriate "just in case". I questioned this as there was no evidence of spreading. What followed was extraordinary. The consultant and the oncologist started arguing in front of me, as if I wasn't there. The consultant saying the tumour was only 20mm in its largest dimension and therefore didn't need chemotherapy, the oncologist saying 21mm, consultant saying stage 1 (i.e. localised and small), oncologist stage 2a (localised, but greater than 20mm). The consultant walked out of the room, wishing me all the best. The oncologist than admitted that had the tumour only been 20mm (as the consultant had said) chemo wouldn't have been recommended. So the decision to give chemo was based upon 1mm of tumour that was in doubt any way. So for me this was 'a no brainer'. I didn't want chemo anyway and even the professionals were arguing as to whether I should have it. I was asked to go away and think about it and return the following week, with my definite decision. A week later my decision hadn't changed and I declined the chemo, to which the oncologist said "I don't blame you, I wouldn't have had it either, but I have to do what the computer programme recommends". Interestingly when I received a copy of the letter sent to my GP from the oncologist the tumour had grown to 23cm. June 2012: Second time around the decision was much harder. The second tumour was over my sternum and wrapped around the ribs. It was 28mm at its largest dimension. Any operation was ruled out, due to its complex location. Surgery would have been with a thoracic surgeon (not the breast surgeon) and would have involved major chest surgery, equivalent to heart surgery. They checked me to see if I could have more radiotherapy. The oncologist (who had a tone of 'I told you so') examined me and carefully checked against the record of the area covered by the radiotherapy. The second tumour was within the bounds of the original radiotherapy, so more radiotherapy was ruled out. This also meant the radiotherapy had not done what it was supposed to do i.e. mop up any remaining cancer cells. I pointed this out to the oncologist, who just shrugged indifferently. Medication was out of the question due to it being a 'triple negative breast tumour'. (There are no drugs for this type of tumour at the moment.) So the only option the hospital could offer was chemo, with the view of shrinking the tumour (not getting rid of it completely!) and then making surgery easier. The plan was three rounds of 'normal' chemo, scan again, then bring in the 'big guns' (oncologist's words, not mine). Apparently my tumour was highly likely to be resistant to chemo. (My own research later suggested it only had a 30% chance of affecting the tumour at best.) The side effects of the 'big guns treatment' not only included the common upset stomach, hair loss, mouth ulcers, nausea, sickness and wiping out of the immune system, but high up on the list were heart failure, liver failure, kidney failure and permanent nerve damage (possibly affecting vision and hearing and mental function). 2. Subject myself to horrendous chemo treatment, which might not even touch the tumour, possibly killing me in the process or if I survived the chemo being left with the cancer still, and with weakened liver, heart and kidneys and possibly blind, deaf and mentally impaired. Wow! That was some choice I had to make. I was sent away to think about it and asked to return one week later with my decision. The week that followed was probably the hardest week of my life. The bottom line was 'I didn't want chemo', (see below for my reasons). I returned a week later. I hadn't been able to make a final decision. I didn't want the chemo, but felt had little other option. I was upset and frightened, received a further 'hard sell' from the oncologist and given another week to think it over. I left the room very distressed and upset. I felt backed into a corner with nowhere to go. As I walked down the hospital corridor the breast care nurse ran after me. She had been in the room with me on this occasion and all the previous meetings with the oncologist. She realised how upset I was and initially set about calming me down, before I went back out into the big wide world. Then I was given a gift from God. She suddenly said that there was a third option. "Go away and do my stuff and come back in 3 month's time, have another scan to see if my alternatives had shrunk the tumour at all. The chemo would still remain an option at any time". It was like a breath of fresh air and I felt a huge weight off my shoulders. I accepted instantly and for the first time in several weeks felt I had a glimmer of hope. So I embarked on an aggressive programme of very strict diet, supplements, homoeopathy, meditation and anything else I could find that might help. I had done a lot with the first tumour, but with hindsight the first time around it had been a bit half hearted. This time I knew I had to do everything I possibly could and more. I had absolutely nothing to loose. Three months later I returned for another CT scan. I was so apprehensive and nervous. My new consultant (my first consultant had retired) beamed as she told me the tumour was only 22 mm. It had shrunk. I think she was a bit disbelieving at first and kept going back and forth between the original scan results and these new results, looking for a mistake. She talked more positively about surgery being a possibility and again offered me the same chemo programme, but also suggested I went away and carried on doing what I was doing and come back in a further 3 months. I went away and continued my protocol. I worked out that there had been a 25% reduction in volume of my tumour in 3 months. Three months later I returned again. The CT scan showed thicken of the tissue in the tumour area, like scar tissue and no sign of the tumour. A PET scan was arranged for about a month later, which would show any cancer cells anywhere in my body. When I arrived for the results a couple of weeks later, the consultant came bounding into the room, with a huge grin. "Well wonder woman we could all do with a bit of what you are doing". There was no sign of disease anywhere in my body. I had done it! In 6 months I had rid myself of a golf ball sized tumour using alternative methods. I skipped out of the hospital. 2 weeks later I received a copy of the letter to my GP. I was officially in 'spontaneous remission'. Three months later I returned for a check-up. A thorough physical examination and ultra sound. There was no evidence of the tumour. The consultant was interested in what I had done and I supplied her with a full write up of my protocol. It was only a 10 minutes appointment and she obviously had serious cases to deal with, but I was delighted that she was interested enough to talk with me during that time and find out about what I had done. I continue to have 6 monthly check-ups. It is now over 2.5 years since I went into 'spontaneous remission' and the consultant often asks me for further information and shows a very positive interest in my case. I am well, my vitality is good and I have an excellent quality of life. If I had opted for the chemo I have no idea as to what my state of health and quality of life would be like now. It may have eliminated the cancer, it may have caused the cancer to come back more aggressively. What of my quality of life and overall health and vitality? I may have recovered completely, I may have had lasting side effects from the chemo or I might even be dead. I have no idea. But I do know that for 2.5 years I have been healthy, with good vitality and live life to the full. Some background information to my decision making and my views about chemotherapy. I know many people see chemotherapy as a helpful treatment and their only hope, something that is going to rid them of their cancer. The majority of people are unaware of alternative / complimentary medicine and the options it may offer. They may feel they have no other option, but to accept the chemo treatment and follow orthodox recommendations. I think these people are extremely courageous and I wish them well. As an alternative health practitioner I have seen the other side of chemotherapy and hold a negative opinion of this form of treatment. I make no apologies if any of the following presses your buttons and makes you think. The alternative side (other than well known side effects) is rarely in the public domain, but there is another side to this treatment. Many people called me brave for declining chemo. Some, including some (ex!) friends, called me stupid for declining the treatment. Each to their own. It was one of the hardest decisions I have ever made. ~ Over 20 years I have seen many of my clients (homoeopathy and healing) go through chemotherapy, often several courses of treatment. With out exception I have seen their vitality diminish. Seen them become more seriously ill and sadly several have passed away. Their whole immune system has been destroyed and they no longer had any strength or energy to fight their cancer. I believe it was the chemotherapy that killed them and not the cancer. ~ Several years ago I accompanied a friend to her chemotherapy treatment. I am able to see peoples' auras and energies. When the chemo drugs were injected, her whole aura imploded. It is one of the most horrific things I have ever seen. ~There are an increasing number of studies (particularly coming out of America) that show the chemo drugs do reduce malignant tumours, but when the drugs are stopped, there is a rebound reaction and the tumour grows again, often more aggressively and new tumours start deleveloping in other places. More chemo is given, the tumours shrink, treatment finishes, tumours come back and so it goes on and on, possibly over several years. So whilst the drugs are being actively taken, the cancer shrinks, but unfortunately the body's vitality and defence system are gradually weakened. In some people this yo yo situation may continue for years and give many more years to their survival, but often at the expense of quality of life. Generally it seems that 5 or 6 programmes of chemotherapy are the maximum that are given. ~ Many people see chemotherapy as helpful and are very positive about the treatment. I view chemo as a medieval concoction of highly toxic chemicals that destroys far too much of the body as well as cancer cells, including the immune system. The toxic chemicals are themselves known to be carcinogenic. I believe chemo is harmful and would probably kill me, rather than cure me. There have been studies carried out in the USA on the mental attitude towards chemo and how people responded to treatment. It found that if people were positive and saw it as helpful then it would help. If however, people saw the chemo as harmful, then it would harm them and they would have more side effects. So what chance would I have? 20 years of negative experiences and observations are very difficult to overturn in a 20 minute meeting with an oncologist who believes the treatment is helpful. "If you are scared of the cancer you have the chemo. 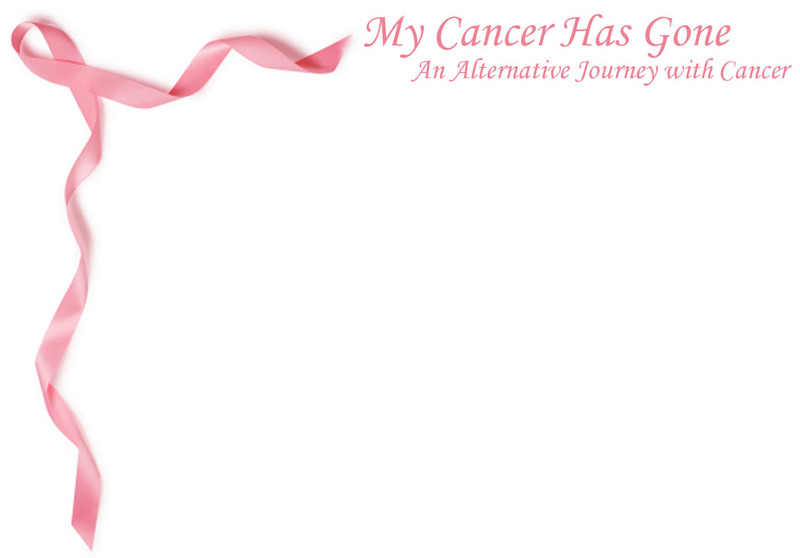 If you are scared of the chemo you look to alternative medicine"
I think I was more scared of the chemo.